“I looked, and there before me was a pale horse! Its rider was Death, and Hades was following close behind him.”-Revelation 6:8 A mysterious techno-virus has been released on Earth, infecting 600 million people and turning them instantly into violent, monstrous engines of destruction. 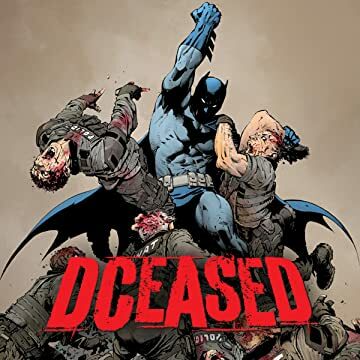 The heroes of the DCU are caught completely unprepared for a pandemic of this magnitude and struggle to save their loved ones first…but what happens to the World’s Greatest Heroes if the world ends? 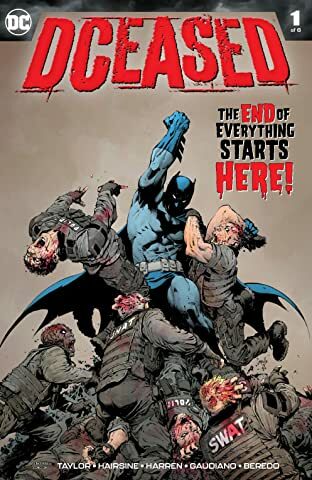 New York Times best-selling writer Tom Taylor (INJUSTICE) returns with a terrifying new tale and is joined by artists Trevor Hairsine (LEGENDS OF THE DARK KNIGHT) and Stefano Gaudiano (The Walking Dead).